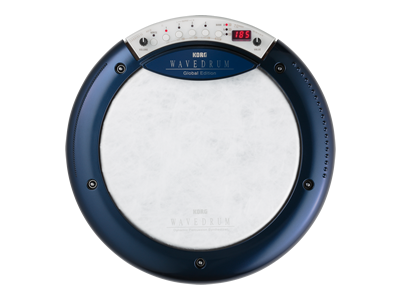 In addition, the Wavedrum Global Edition provides a new parameter that adjusts the input sensitivity. 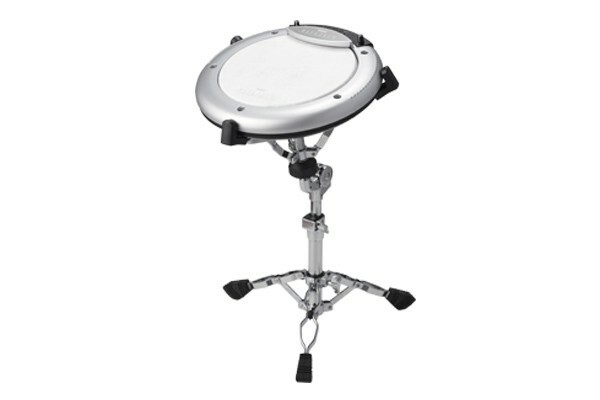 This makes the Wavedrum’s full potential available to everyone from beginners who are not yet able to produce strong strikes, to professionals who can command a broad range of dynamics. These new programs (up to 200) can be stored in the user area. The Wavedrum Global Edition also has a Live Mode which can store up to 12 favorite programs (from preset or user programs) for selecting programs instantly during live performances. While you can enjoy the Wavedrum Global Edition by playing the sounds alone, it offers some special features that provide the ability for users to jam along for fun or for practice. Included are 140 loop phrases from various musical genres you can use during practice. Or use the AUX input to mix in the signal from any audio source – CD, MP3 player, or even an additional Wavedrum for double conga-style setups. Using the headphone output allows you to practice in private, anytime, anyplace – without worrying about the neighbors!